The new and improved Kabuki Brush now contains an extra 10% of nylon bristles making it ideal for powders & bronzing products. It helps to blend make up evenly onto skin leaving behind a natural looking coverage and finish. Densely packed bristles for buffing and blending mineral foundation. The new and improved Kabuki Brush now contains an extra 10% of nylon bristles making it ideal for powders & bronzing products. 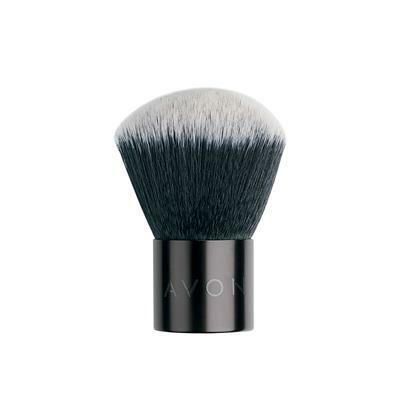 It helps to blend make up evenly onto skin leaving behind a natural looking coverage and finish. Densely packed bristles for buffing and blending mineral foundation. Plastic brush with nylon bristles.